A visionary recognizes the inefficiencies and management issues. It takes a radical to really do something about it. Author’s note: Today’s contact centers must go deeper into the organizational labyrinth and transform to be considered a strategic asset. This transformation must be influenced by those responsible for running the operations as it is unlikely the executive level will be the initiator. In this installment of “Lost in the Labyrinth,” I discuss how business leaders need to understand current state operational deficiencies and management issues. They must challenge themselves to be both visionary and radical! They have no ground in the crowd. Poetry may be a sappy way to make a point about today’s contact centers. But the point about “demanding room for bold gestures” describes the difference between being a visionary and being a radical. There are many of you, from C-level to Cube-level, with vision and clarity about the future. Unfortunately, it is a significantly fewer number that are radical enough to actually do something about the inefficient ironies found in contact center environments today. You may be visionary enough to recognize the challenge and maybe even envision a grand solution. It takes a radical to really do something about it. The inevitable derision here is that every reader of this article is certainly a visionary (witnessed by the fact that you are reading this). Nearly all contact center chain executives get this; but some just don’t do anything about it! Do not underestimate that what it takes to “do something about it” is immense and extensive. Success begins with the guttural realization that if you want to play the customer experience strategy “game,” customer care/service operations today risk being perceived as far more “lip” service than “real” service. Real service is considerably harder to do. Consider the “answered vs. handled” scenario. Customer experience points are scored only when callscontacts are distributed to a person actually able to HANDLE the interactiontransaction. A “speedy” answer is not enough when it is only the first step in a potential labyrinth of transfers and handoffs. There are many contact center routing schemes that distribute calls simply to get them answered. This includes overflowing to known entities (e.g., operators) that are unable to schedule an appointment, answer a billing question, or even take a message. All the while, contact center leaders tell themselves that this is in the caller’s best interest. While this trickery may improve the look of the contact center’s metrics—average speed of answer may go down, service level may go up, and even abandon may be reduced—the visionary sees the flaw in it while the radical CHALLENGES it. Another part of this maze is misrepresentation in performance reporting. It may feel right at the time that it is done. But farther down that road, it becomes clear that the ability to make the case for the allocation of proper staff will be obstructed by your own willingness to misrepresent. Senior leadership sees only objectives being met. How do you then explain that the experience has been compromised to achieve the reported performance metrics? What is the cost of this to the enterprise and to the brand? The poor folks taking calls cannot answer, “I’m only authorized to apologize.” This situation is NOT uncommon and NOT easy to undo; but the radical is willing to take the risk. REAL SERVICE is distributing calls/contacts to where they will be HANDLED and not just answered. Raise that bar! It can no longer be about cost justification or ROI (Return on Investment) when it comes to the contact center as a manifestation of customer experience strategy. It is about “change” justification. People love their own ideas and concepts and often defend these ill-fated decisions simply to save face. Let’s face it. Change is hard and sometimes it is just not worth changing at all, particularly in an industry where there is so much historical inertia. Unfortunately, there is a population of visionaries and radicals that will have to face the reality that adopting a true customer experience-focused culture can feel terminally difficult. Take the case of the 10-year veteran contact center VP in an e-commerce operation where the private equity firm running the business was willing to make only a near-zero investment in back-end operations. Everything from shopping, to shipping, to receiving was executed using archaic technical infrastructure, mountains of paper and manual (human) integration of processes. When new cubicles were requested (for the fifth year in a row) to replace the ancient, falling-apart ones that the 100 agents occupied, the CFO wanted to know the ROI! 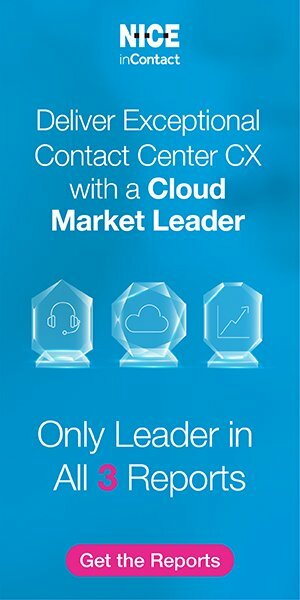 A key factor in the successful future of the contact center includes the emergence of a confident management mentality that truthfully realizes that it is time to stop giving the C-level exactly what it asks for and instead give it what it needs. While the polite lie suffices, it is within the impolite truth that true customer experience progress is made. Unfortunately, as long as the C-level talks about customer experience and the contact center talks about erlangs, not much more progress can be made. Your future as a visionary in the contact center may require radical action to compete for the customer experience-driven consumer. Become expert at reporting to the senior levels of the enterprise what is needed to be successful in the quest. Take the radical posture of defining ROI as Return on Information. Identify findings related to evolving consumer needs and preferences… what makes our customers happy and what frustrates them. Begin adding new information and discoveries to your contact center reports. Identify any cross functional dysfunction and work toward alignment that improves both response time and first-contact resolution. Radicalize your reporting by shifting the focus from factory-like production metrics to strategic alignment in order to meet consumers’ changing needs and preferences. Read, study, think and structure the organization to be elevated to the status of strategic asset. This requires you to be both the visionary and the radical!